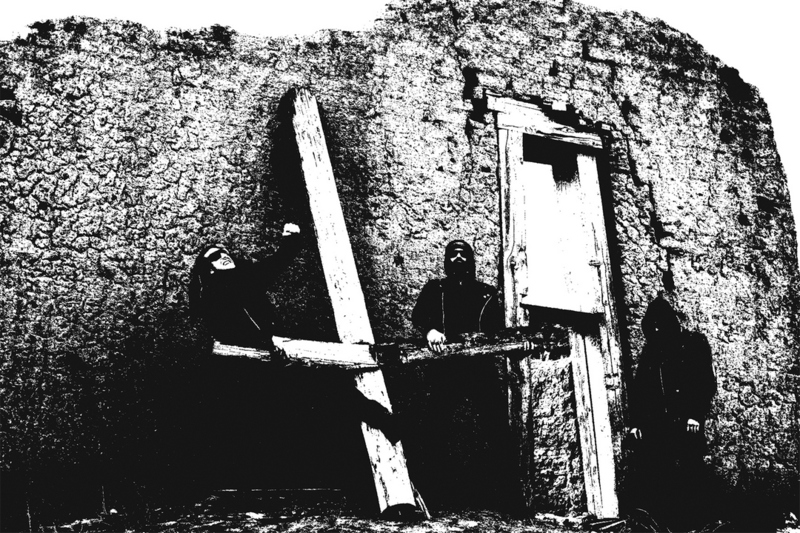 This week’s featured Meet The Band artist is the New Mexico death metal trio Superstition. Their debut album is Surging Throng Of Evil’s Might. Vocalist L.S., guitarist/bassist K.M. and drummer D.M. enigmatically introduce us to their band. Give us a brief history of Superstition. We are a concerted force, a ghastly appendage spawned from the perennial belief and fear of supernatural causation. Superstition is born from fear of the unknown, irrationality and madness attributed to darkness and the discarnate sciences that govern unearthly spheres. Describe the songwriting and recording process for Surging Throng Of Evil’s Might. Often, we each unearth a limb and collectively stitch the pieces together but occasionally one of us will sniff out a whole carcass and present the bulk of their exhumation to the rest. Reanimation is a group effort. The recording is raw, chaotic and irreverent while the playing is feral, inelegant and evil. How else should a demo sound? How did you come to sign with 20 Buck Spin? It was the right culmination of magnets, metal, leather and congealed blood plus 20 Buck was willing to have some Czech dude smear this rotten effluvium on wax. We hope to make our diseases communicable, sonically speaking of course. We would like to worm our particular breed of madness through the foramen magnum, likely impinging on the rational tissues, allowing mental degeneracy to fester in the fire. What has been your most memorable Superstition live show? We’ve only recently started to haunt the public, I can only hope our future apparitions will be more bizarre than the last. We’ll be oozing along the West Coast 6/19-7/04, appearing with Mortiferum and Spectral Voice. Denim and leather, brought us all together. Skull Obsession, Cryptician, Mournful Fluid (the early years), Necroscillator (Sexual Galvanization). What’s the metal scene like in New Mexico? Death Incision – Precision Death, Obfuscación – La Muerte Mejor, Malodor – Tomb Emanation, Ossium Tremens – Waking Rotten Flesh. We serve to amplify your clattering bones, to accentuate the tumultuous physics of skeletal upheaval through the disharmonic frequency of marrow unearthed. May you meet your end crawling in superstitious rage.